Now on its second year, Startup Weekend aims to generate breakthrough ideas from tech communities in key cities in the Philippines. 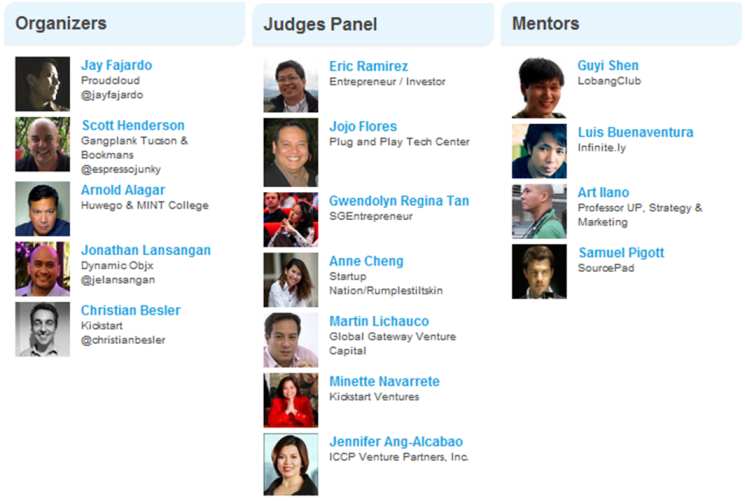 Startup Weekend Manila will be held on April 27-29 at MINT College in Bonifacio Global City, Taguig. Next in line is Cebu, which is scheduled on May 11-13, with other cities/events planned later in the year. Telecommunications giant Globe Telecom, pioneering incubator Kickstart Ventures, Inc., web engineering firms Proudcloud and Dynamic Objx, and innovative educator MINT College are the main movers of Startup Weekend in Manila and Cebu. During this event, entrepreneurs interested in receiving feedback for an idea, looking for co-founders, or who want to learn a new skill, especially in the field of mobile and internet applications may just be able to achieve what they've been dreaming of. The concept of Startup Weekend started in the US and has since become a global movement, taking digital start-up businesses from ideas to investment readiness through intensive mentoring from industry experts and access to markets and investors across Asia. The start of the event will basically gather participants to pitch in startup concepts and form teams to help refine ideas and business plans. As the days progress, these teams will start building product prototypes with the help of the onsite mentors. By the night of the third day, participants will present what they have accomplished in a 4-minute pitch and demo. For the schedule of Startup Weekend Manila, please visit this link. Aside from the Philippines, Startup Weekends this year will also be held in France, Singapore, Argentina, Canada, USA, Norway, UK, Denmark, Mexico, Italy, Palestine, Senegal, Taiwan, Hungary, Australia, Lithuania, Algeria, Ireland, Switzerland, Martinique, Tunisia, and Spain, China, India, Brazil, Chile, Czech Republic, Belarus, Poland, Turkey, Uganda, Kosovo, Slovakia, Bulgaria, Germany, Peru, Moldova, Croatia, Cambodia, Egypt, Bolivia, and the Netherlands. Parties interested in Startup Weekend Manila can register via http://manila.startupweekend.org until April 25, or while slots are available. To know more about Startup Weekend Manila, visit www.manila.startupweekend.org.